Creepy clowns are all the rage right now. Whether it's the Joker, Harley Quinn, or just that guy in your neighborhood wandering around wearing a clown mask, everyone knows that the creepy clown style is red hot. So you want to get in on the action, right? Makes perfect sense. You've got your clown outfit, your makeup, and you've been perfecting the art of scare. But you know what so many clowns forget? Accessories! When's the last time you saw a clown holding something, right? It's an amateur mistake, so before you head out there, do yourself a favor and grab a creepy clown accessory that will really stop 'em dead. 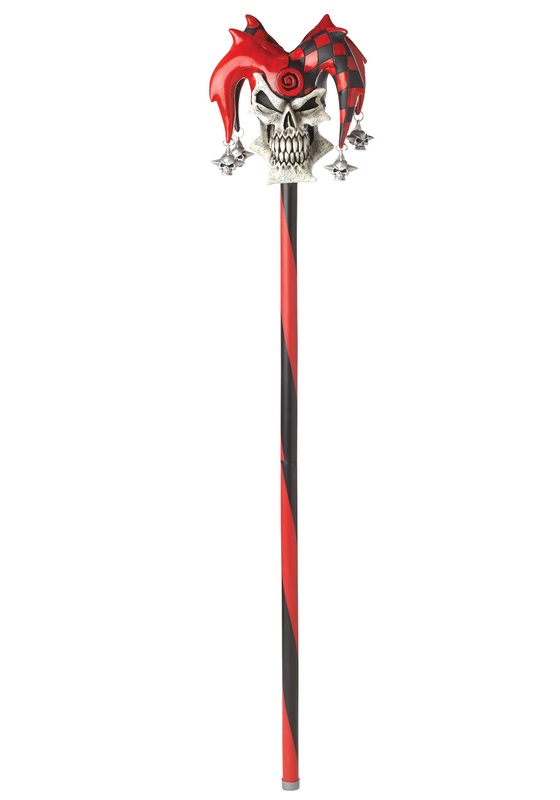 This jester's cane is the perfect creepy fit. Are clowns supposed to talk for maximum creepiness? Isn't silence so much more unnerving? But how do you even get a person's attention when you don't talk? 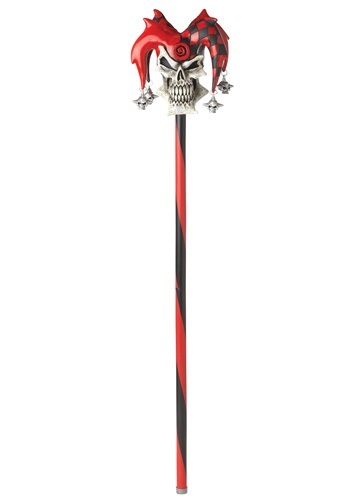 Why not try this jester cane you can wave ominously at people? Waving ominously is probably the best scare tactic around. So get on it you creepy clown! Creep us out! This worked perfectly with the costume,and I wouldn't have seen it, if they hadn't shown me as I was ordering the costume.